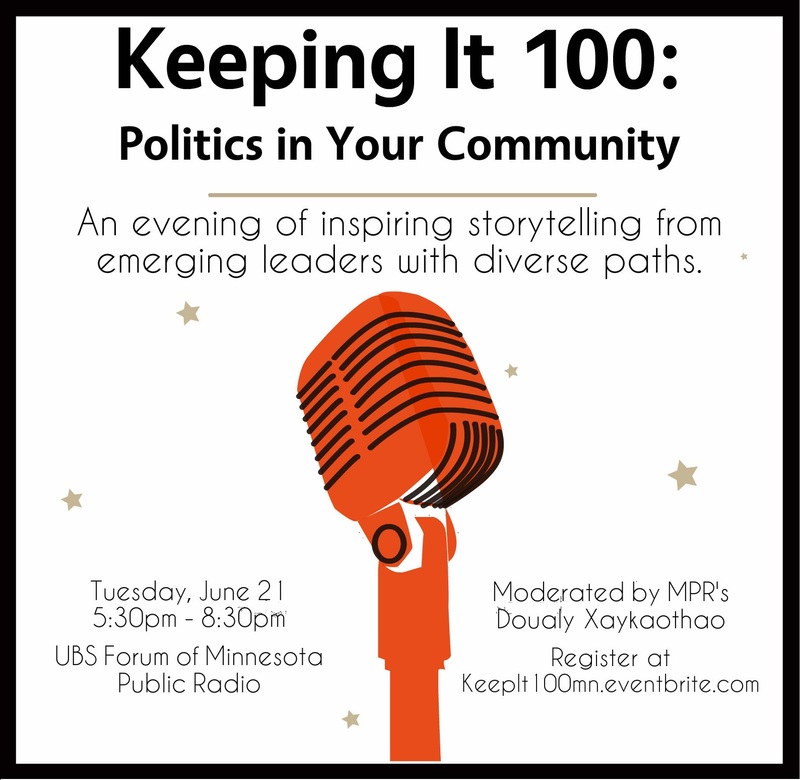 As this election year continues to heat up, we were excited last week to host a powerful event in partnership with Minnesota Public Radio's Generation Listen entitled, "Keeping It 100: Politics In Your Community," highlighting the unique civic pathways of four young Minnesota changemakers. Check out event photos online and watch for more news next month to access the broadcast or podcast featuring Nevada Littlewolf, Luis Moreno, Abeer Syedah, Kevin Vollmers, and moderated by MPR's Doualy Xaokaothao! Summer boasts ever more ways to get involved and connected to creating civic change across the state (check out the news from the network column at right for some ideas) and is also the perfect time to unwind as a resident and simply enjoy Minnesota's arts, parks, lakes, concerts, recreation, foods-on-sticks, and more with family and friends. In all cases, enjoy the sunshine and celebration of our shared natural resources and community capital! Sketchpad journaling by participant, Cori Lin (IG: @cori.lin.art). Used with permission. On Tuesday, May 10, 2016, Minnesota Rising and sister initiative, LOCUS, hosted an identity-driven leadership workshop as a part of this year’s BushCONNECT. More than 50 people spent the day immersed in thoughtful reflection and courageous conversations about race, ranging from strategies for self-care and community healing to unpacking the meaning of allyship and empowerment. To get the day started, facilitators led participants through a series of brief exercises to emphasize individual identity exploration and active listening as the foundation for the day’s work. Aeriel and Kyle Ashlee, of Ashlee Consulting LLC, helped frame the day-long program with a story-centered lens, encouraging participants to speak from their own lived experience and value the gift of bearing witness to others’ stories. Participants spent a majority of the day split into companion tracks, one track for self-identified people of color and indigenous/native communities and the other track for people who self-identified as white/of european-descent. These separate but concurrent sessions enabled participants to delve more deeply into the nuances of engaging in race-related power and privilege work from different racial perspectives. In the white/european-descent track, participants explored concepts related to whiteness and discussed the importance of using privilege to dismantle systems of oppression. In the people of color/indigenous track, participants focused on restorative practices and ways to cope with and heal from racism. Both tracks also spent time learning about wellness practices, such as meditation, tai chi, and intentional breathing to help work through moments of tension that can inevitably arise when delving to difficult topics like race and racism. One of the most powerful moments of the day came during the lunch performance from Blackout, Minneapolis’ all-Black male improv group. To engage the audience in their creative process, Blackout invited participants to anonymously write down questions about race that hadn’t yet been answered in the day’s program. All the anonymously penned questions were thrown into a hat and drawn at random. One of the questions drawn focused on the use of the n-word; when it might be appropriate to use and what communities are/are not “allowed” to use it. As one of the members of Blackout read the question aloud, he elected to say the full word. Immediately, a stiffness radiated throughout room as participants sat on the edge of their seats cautiously curious about how the improv team would take on this contentious topic. What was most powerful about this climactic moment was not the specifics of any one person’s response to the posed question or the arrival at a collective or universal decision about the use of the n-word. The most powerful and pivotal moment of the day happened after the Blackout performance, when a woman participating in the self-identified indigenous and leaders of color track bravely voiced her discomfort with and disappointment in the sketch. Through tears, she named the pain and triggering she experienced by the repeated use of the n-word throughout the performance. She expressed her deep frustration and anger that even in a space dedicated to advancing conversations on race and racism, she had to endure such a common and brutal microaggression. The tension in the room was palpable. And yet everyone stayed present. In a wonderful embodiment of the purpose and goal of the identity-driven workshop, participants compassionately and gracefully heard the woman out; empowering her voice and supporting her well-being. Calling upon some of the wellness and self-care skills learned earlier in the day, everyone took a couple of collective deep breaths together acknowledging the historical pain and complexity of honestly and vulnerably talking about race in a mixed-race group. Rather than retreating from emotionalism or responding defensively, we stayed engaged. We sat in the discomfort. We acknowledged each other’s truths and lived experiences, and we were able to go deeper as a result. While dismantling systemic racism will most certainly require more than a one-day workshop, this day dedicated to identity-driven leadership was a great start. 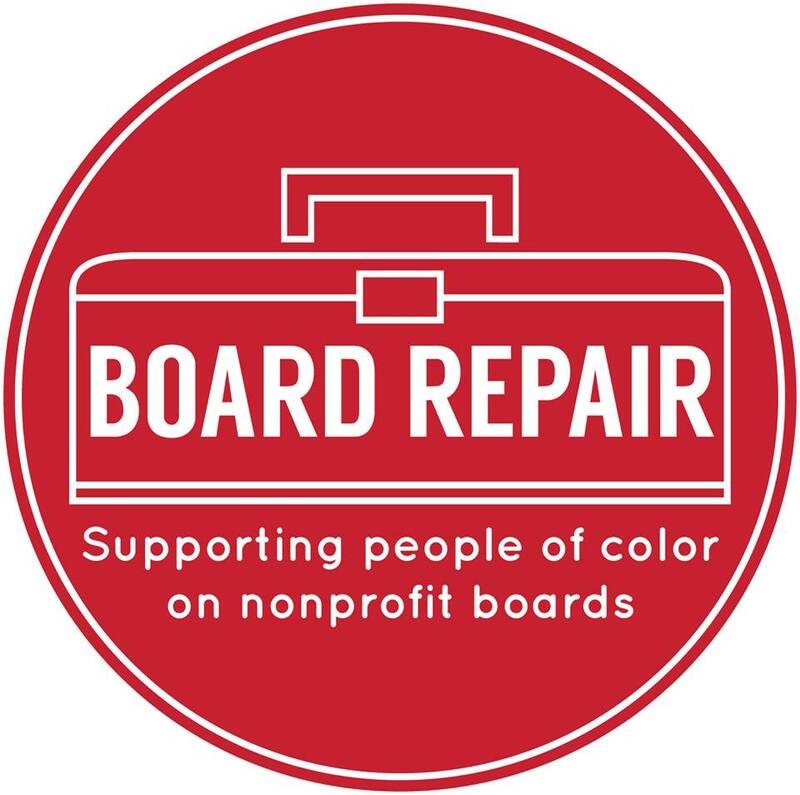 An important and necessary first step for community leaders to come together, share stories, gain greater insight, develop empathy, and begin to build the necessary relationships for making real racial progress in Minnesota. 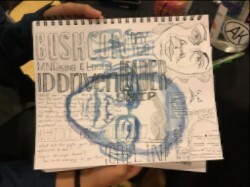 More sketchpad journaling from Cori Lin. In this election year, political involvement and civic engagement are at the forefront of the news and community conversations. Although we may not all agree on politics we think it’s safe to say that this election year has been charged. These topics are national, local, and deeply personal, requiring attention from each of us individually and all of us collectively. "Keeping It 100" is an interactive event designed to explore how we can each get involved in our neighborhoods and communities to work toward positive change. Join Minnesota Public Radio's Generation Listen and Minnesota Rising for light appetizers and an evening of inspiring storytelling from emerging leaders with diverse paths and approaches for community engagement, connecting with organizations and resources to get involved locally, and discussion about what we each can do to make a difference in today's political climate. Nevada Littlewolf (@nrlittlewolf) is the first Anishinaabe woman ever elected to the Virginia City Council and the only council member under the age of 65. In addition to her nearly 20 years of experience in community-based work, organizing and advocacy, she is founder and Executive Director of Rural and American Indigenous Leadership (RAIL), a nonprofit focused on growing women’s leadership in rural and indigenous communities. Nicque Mabrey (@nicque) is a 34 year-old Community Organizer and Policy Advocate proud to be building power in Minnesota for over 10 years. She is the former Associate Director of Policy and Organizing at Outfront Minnesota. Nicque is passionate about racial and economic justice and served as a lobbyist with the Safe Schools for All Coalition to pass the historic Safe and Supportive Minnesota Schools Act in 2014. She grew up in rural Wisconsin; and now lives on the Southside as part of an intersectional collective with queer women of color. Luis Moreno is a business and community leader. He started his career as a consumer products marketer in Venezuela and has since become a marketing leader in the US, leading cross-functional teams in six prestigious global Fortune 500 companies. Luis co-founded The Twin Cities Business Peer Network, a 1,700+ member organization to help students and peers grow personally and professionally. He received a 40 Under 40 Award by the Minneapolis/St. Paul Business Journal and a Real Power 50 Award by Minnesota Business Magazine. Kevin Vollmers (@kevinhvollmers) is a social entrepreneur, activist, consultant, and speaker. Previously a program host at KFAI, he went on to found Land of Gazillion Adoptees, LLC (LGA), a multimedia company based out of Minneapolis, MN. He has been featured in The New York Times, National Public Radio, Minnesota Public Radio, CNN, Colorlines, Racialicious, Hyphen, The Good Men Project, Daily Beast, and Fox News. Panel Moderator: Doualy Xaykaothao (@DoualyX) is a correspondent for MPR News, covering race and culture. She is Hmong-Texan, born in Laos and raised in Texas. She got her journalism chops in New York City, Washington, D.C., Los Angeles, Portland, and most recently in Dallas. She also spent a decade reporting overseas for NPR from Southeast and Northeast Asia. If you can't pronounce her name, she also answers to Shadow of the Moon, that's what her first name means.